All of these aspects of business litigation require careful planning, informed judgment, and client involvement. These are the keys to securing the best possible outcome. While litigation inherently involves the possibility of going to trial, not all lawsuits end up in court. In fact, the vast majority of business disputes settle privately, and many are resolved through mediation or arbitration. When strategizing about your claims or defenses, it is important to consider all of the options that are on the table, and to understand the implications of proceeding through the various advanced stages of complex business litigation. Let’s skip past the initial step of filing a civil complaint (though, again, this is not a step to be taken lightly). Regardless of which side of the case you are on, once a lawsuit has been filed, what can you expect over the weeks and months to come? Once the defendant has been served, it must file an answer in order to avoid a “default judgment” in the plaintiff’s favor. Similar to the complaint, the answer can be fairly general in substance (though there are specific requirements for each), and the defense must make a strategic decision as to whether and to what extent to include specifics about its case. Defendants may decide to assert counterclaims against the plaintiff as well, to assert counterclaims against one another, or to interplead other entities that are not yet parties to the litigation. Early on, the defendant (and the plaintiff, if the defendant asserts counterclaims) must make critical decisions about certain types of challenges. Parties to federal civil litigation only have a limited amount of time to assert arguments such as improper jurisdiction and venue, and failure to raise these issues within the prescribed timeframe will result in a waiver of the right to assert them at all. If a defendant or counter-defendant believes that the plaintiff’s or counter-plaintiff’s claims are subject to mandatory mediation or arbitration, this is an issue that will need to be raised early as well. Oftentimes, disputes about proper jurisdiction and venue – including enforcement of contractual obligations to pursue alternative dispute resolution (ADR) – can lead to substantial litigation before the parties reach the merits of their substantive claims and defenses. Many business disputes are subject to mandatory mediation or arbitration (or both). Contracting parties will routinely include mandatory ADR provisions in their agreements, and these provisions can either apply to the parties’ commercial relationship as a whole or to specific types of legal claims. Once a dispute arises, use of ADR may or may not be in one or both parties’ best interests, and it is not unusual for lengthy and complicated disputes to arise out of disagreements over the enforceability of mandatory mediation and arbitration clauses. If a business dispute proceeds to mediation, the parties will work with a neutral third-party mediator in order to resolve their dispute. The parties will generally agree to a limited form of discovery, and the mediator will offer suggestions for finding room for compromise. In arbitration, the parties present their arguments and evidence to a third-party arbitrator, and the arbitrator issues a binding decision which can subsequently be enforced in court. When discussing the process of business litigation, it is important not to overlook the fact that the parties can reach a settlement at any time. Even complex and highly-contentious disputes often settle, though it may take time for both parties to realize that a settlement is the best option available. Either party can attempt to initiate settlement discussions, and specific events – such as revelation of information in discovery – will often provide critical leverage for achieving a favorable negotiating position. Requests for Production of Documents – Complex business litigation will often involve voluminous e-discovery, with parties often being forced to produce thousands (if not tens of thousands) of electronic files. All discovery requests must be appropriately tailored to the subject matter of the litigation, and it is common for parties to litigate over the scope of document requests before reaching their respective final production obligations. Requests for Admissions – Requests for admissions can be used to establish facts that are not in dispute. Parties are allowed to deny these requests (though a formal response is still required), and significant revelations through requests for admissions are rare. Requests for Depositions – Depositions can seek testimony from persons in their individual capacity or as representatives of corporate entities. The deponent is entitled to legal representation during the deposition, and his or her legal counsel can raise objections for the record so that improper lines of questioning can be challenged in subsequent proceedings. 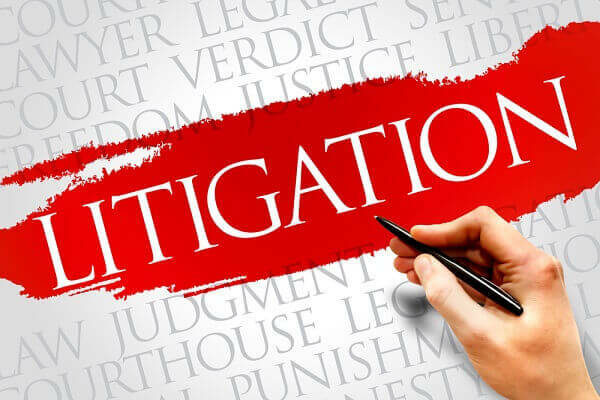 Interrogatories – Interrogatories are requests for written answers, and are typically used in conjunction with document requests and depositions to collect the primary evidence to be used in subsequent proceedings. If the parties have not reached a settlement, their case will go to trial on a date scheduled months in advance. During trial, each party will present its evidence to a judge or jury; and upon the conclusion of trial, the factfinder will render a decision on each of the claims, counterclaims, and cross-claims that have survived to the final stage of the litigation. Even once trial has begun, settlement is still an option, and it is not unusual for commercial parties to negotiate settlements after seeing how the evidence begins to play out in court. The civil litigation team at Oberheiden, P.C. provides strategic legal representation for corporate clients in complex business disputes. If you are facing a dispute and need the advice of experienced counsel, you can contact us online or call (888) 519-4897 for a confidential consultation.